I was in a small neighborhood eatery tonight. At their cashier counter was a bowl with Hershey Miniature Candy bars. A white piece of paper was taped to the bowl and someone had taken a black Sharpie and written "25 cents". Between me and two other people, we came up with these comments. 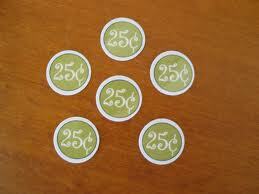 "Twenty-five cents - - - or your soul . . ."
"Twenty-five cents? Is that for the whole bowl?" (Picking up one of the pieces) "You know what we call this size? We call it "why bother." What do you think when you see a bowl of individual candies sitting in front of you? Do you find yourself looking at the eye-candy and cracking comments? Do you start looking through the candy to see what is there? Do you avoid looking at it completely? No answer is the correct answer. No answer is the wrong answer - unless your response is to start eating your way through the jar. I made my joke and moved on. What do you do before you move on? If I see a bowl of individual candies sitting in front of me, I usually take a good look, but then I am usually too mbarrassed to be seen digging around inside, as I try to fish one out. When my kids were small and along with me, I could use them as an excuse for the fishing expedition. Just one of the many lies I told on my way up the scale. Lucky for me that doesn't work any more! I used to see a 25cent piece of candy in a bowl and think "rip off", and that was for how much you got for the money. Now I think "rip off" and that is because those candies are a rip off to my mental and physical health. I had to switch grocery stores over sampling. It tied the food and the event together in my mind. And once it is tied together, it is sort of there to stay. If I took candy out of the bowl ONE TIME, that restaurant and candy would be linked forever in my mind. In fact candy at the check out at any restaurant, would be linked in my mind. I have to be very careful not to get those links/loops started. I try to live as stress free as possible. I do not want to have to fight loops. I understand we have 90 seconds to change a loop. And I have redirected a lot of loops in the last several years. Not looking to set up any more that I have to switch or be aware. The only place I run into this that I can think of is at the insurance agency. I've been in there three or four times in April & May taking care of business insurance stuff and they have a big glass jar full of "fun size" candy of all kinds (all chocolate, no pointless crap) all the time. I know better than to take one. I was fortunate in my office worker days that I never had "that" co-worker who kept a candy dish on the desk. Funnily enough, one summer during college, I worked at Fanny Farmer where we were encouraged to "sample" everything so we could describe stuff to the customers. I ate so much chocolate my first two days that I nauseated myself and then I didn't eat any chocolate again for well over a year. In answer to your question about the arbor - Isaac used treated lumber. I have even seen metal "caps" that fit over the bottoms of wooden legs that will be outdoors. Untreated lumber would have to be painted or protected somehow. Many local places like Lowe's or Menard's have people who can give you advice. If you set your arbor on gravel the water can drain away and the bottom of it won't rot due to sitting in moisture. We use Thompson's Water Seal on our picnic table and other wood items to protect them from the weather. You can get a lot of information on this topic with a google search I am sure. Take care. It depends...candy like Hershey's miniatures is kinda gross, so I wouldn't be tempted. It it were really good, high-quality dark chocolate, I'd take a piece and enjoy it because it would completely and totally satisfy me. One of the big secrets out there is that junk chocolate is designed to make you want more because it's not really satisfying. It's just good enough to get you to want more. When I eat seriously good chocolate, a small amount is always enough! KCLA-Karen - I agree about the chocolate. I buy between 82% and 90% pure dark chocolate and mix it with cardamon, cinnamon, saffron and a touch of coconut oil and make individual truffles and eat just one and it is enough. I don't obsess over getting one every single day. When I have it I savor it. It takes me 10 minutes to eat it and it is only 14grams in weight. And, I got the idea to make them from the SASS Yourself Slim book I reviewed last month. I have to give Cynthia Sass credit for that tip of adding spices to the chocolate.